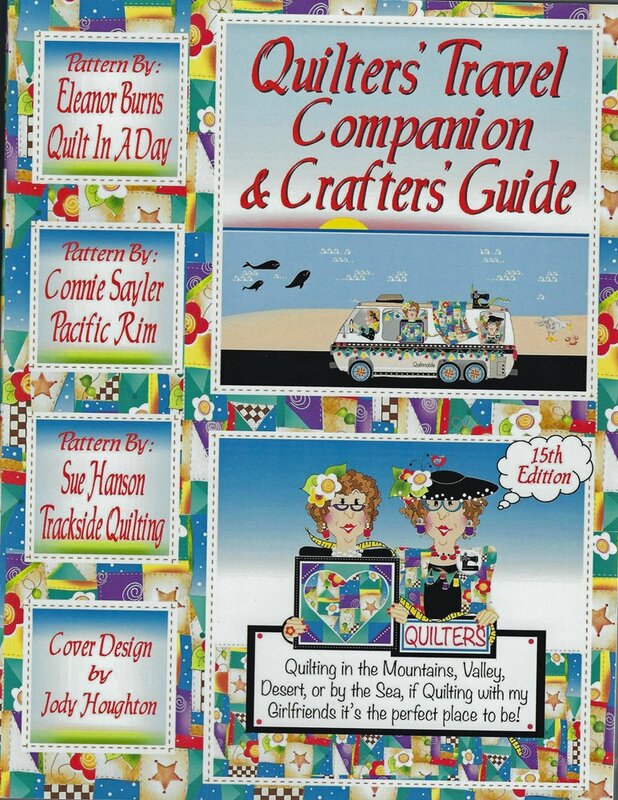 Quilters' Travel Companion & Crafters' Guide 15th Edition. Your guide to quilt shops, shows and retreats all across the USA and Canada!Patterns by Eleanor Burns, Connie Sayler and Sue Hanson. Over 425 pages of information - a "must have" as you plan your next road trip!